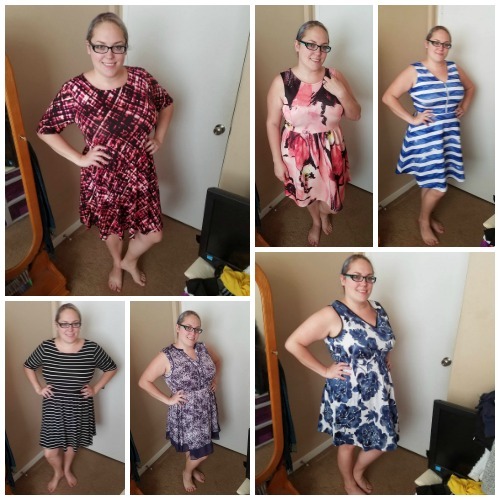 Hello Wench: Kohl's Haul - Dresses, Shoes, and Luggage! Kohl's Haul - Dresses, Shoes, and Luggage! Okay so before you go all judgey on me because I'm posting two hauls in a row - this one was made in 2 trips. I went to Kohl's one day with my Gram and did the normal shopping thing, pull 6 dresses - hit the changing rooms - expect to hate everything. Problem: I didn't. I liked all 6. My gram ended up buying me 3 of these dresses because she's a saint and had Kohl's cash to spend. And then I ended up with more Kohl's cash ($80 between the two of us) and I made a second trip. I also only know like 4 poses sorry not sorry. I also bought some luggage for Chris's & I trip in August. It's a 3 piece black and white leopard print set. We'll definitely know it's ours when we are coming down the carousel. The 2nd trip was a mission: get comfortable sneakers to wear while walking around Japan. 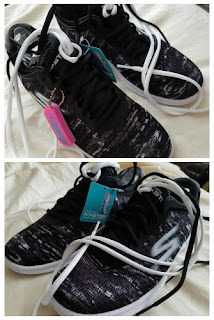 I ended up buying a pair of the most comfortable Skechers I've ever had grace my feet (listen they beat out the Nikes). Chris bought a pair of Nike running shoes that are super light and like the sneakers he's got right now (that are $120). We got both pairs of shoes for $40. We had $80 in Kohl's cash and an extra $10. Now we just gotta break them in! I really like those trainers - I desperately need a decent pair for walking around in myself.